Police are investigating a road rage incident that happened on Route-128 in Danvers. 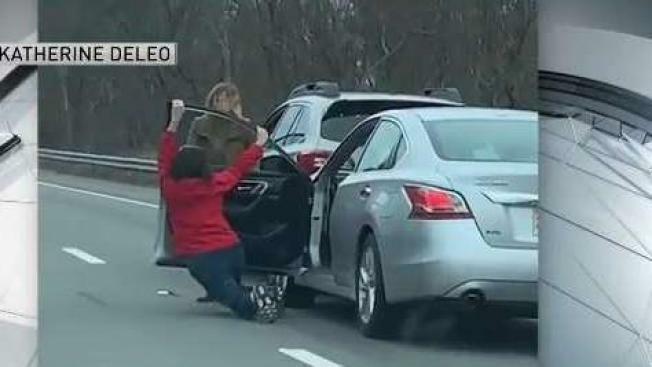 A fight between two women on a highway was captured on video. Massachusetts State Police say charges could be filed in the road rage incident that took place on Route 128 southbound at Exit 21 in Danvers. Video taken by an eyewitness shows two women fighting in the travel lane around 10 a.m. Friday. Police identified both women. One woman operating the lead vehicle, a Subaru Outback, is a 33-year-old from Gloucester. The second woman driving the Nissan Altima, is a 64-year-old from Beverly. Katherine DeLeo took the video on her way to the gym. She says the woman in the first car, a Subaru, aggressively banged on the window of the Nissan behind her. 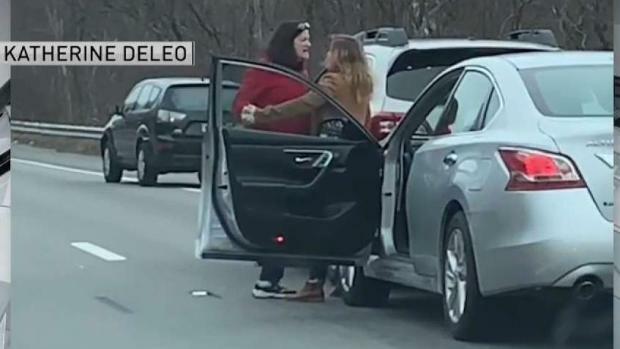 Police are investigating after two women were caught on camera fighting in a road rage incident on Route 128 in Danvers. "She gets out of the car and starts banging on the other lady's window to get out, and she gets out and they both start fighting," said DeLeo. The driver of the Nissan then appears to fall getting out of her car before the fight starts. State police say both women could have been run over. "This could have been a lot worse, and that goes without saying," said Lt. Michael Harvey. "Back in the day, people would beep the horn and maybe do a hand gesture. Those days are gone, and people are pulling weapons." Police believe a lane change started the fight. They've talked to the Nissan driver and believe she may have been acting in self-defense. The video helped police identify both women and their vehicle information. 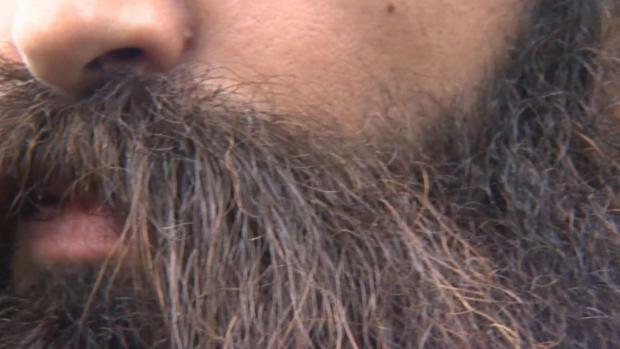 No charges have been filed for this case, but charges are being considered and will be determined with the Essex County District Attorney's Office, according to Massachusetts State Police.